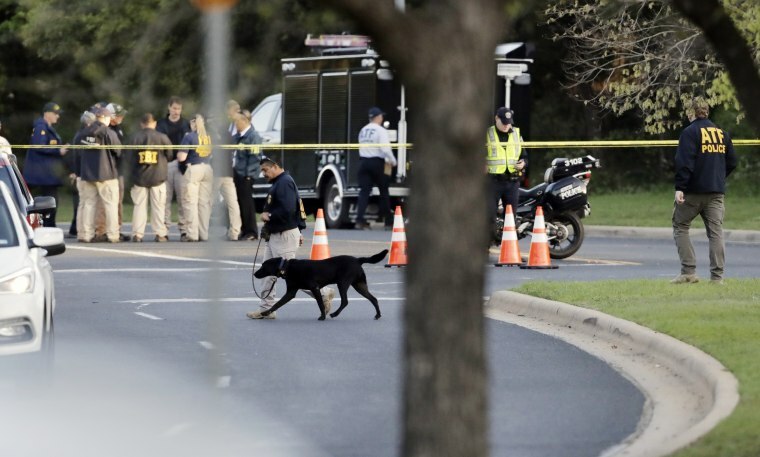 The fourth explosion in less than three weeks in Austin, Texas, appears to be the work of a serial bomber, officials said Monday. Authorities warned that the devices appear to be getting more sophisticated and asked residents of one neighborhood to stay indoors until 2 p.m. local time (3 p.m. ET) Monday. "We are clearly dealing with a serial bomber," Austin Police Chief Brian Manley said, adding that he was unable to answer questions from reporters about whether the incidents should be considered domestic terrorism. "We will have to determine if we see a specific ideology behind this." The latest blast occurred Sunday just after 8:30 p.m. local time (9:30 p.m. ET), when two bicyclists received non-life-threatening injuries after apparently setting off a tripwire in the southwest of the city. The previous three recent explosions had instead been left at people's houses. The FBI has sent 350 special agents to the Texas capital as well as extra bomb squads. "With this tripwire, this changes things," said Christopher Combs, special agent in charge of the FBI's San Antonio division. "It's more sophisticated, it's not targeted to individuals ... a child could be walking down a sidewalk and hit something." The two latest victims, white men ages 22 and 23, set off the bomb that had been left next to a fence and were recovering in the hospital with "significant injuries," Manley said. The grandfather of one of the victims, Will Grote, told NBC News that his grandson and a friend had just left their home when the explosion happened. The grandfather, Will Grote Sr., said his son ran outside and later told him that he found Grote and his friend lying on the ground and bleeding heavily, with what looked like nails embedded in Grote's legs. A severed artery appeared to have been repaired during surgery, Grote Sr. said, adding that he believed his grandson would be released from the hospital within days. Grote Sr. said he didn’t know the condition of his grandson’s friend. Overnight, authorities warned that they didn't want residents in the Travis Country neighborhood to leave their homes until 10 a.m. local time to give teams a chance to secure the scene in daylight. Manley later extended that until 2 p.m. citing "an overabundance of caution as we process the scene." Manley also asked the community to contact authorities if anything looked suspicious or out of place, and cautioned against approaching suspicious items, including boxes and bags. The unsolved package bombings earlier this month killed two and injured two others. Officials are examining whether the packages have been specifically meant to target minorities: Stephan House, 39, was killed on the morning of March 2, and Draylen Mason, 17, died on the morning of March 12. Both were black members of the same church, Nelson Linder, the local NAACP chapter president, told NBC News last week. Mason's 41-year-old mother was also critically injured in the explosion. Then, just before noon on March 12, a third bombing critically injured a 75-year-old Hispanic woman, Esperanza Herrera. Linder, of the NAACP, added that someone connected to the House or Mason families was the intended target in the third explosion, although he declined to provide additional details. Asked Sunday whether the bombings were racially motivated, Manley said it was possible. Police believe the two earlier bombings were "meant to send a message," though Manley didn't say what that message was during a news conference earlier Sunday. The fourth explosion came just hours after officials made a direct appeal to the person responsible to contact them. "They learn as they go." In that news conference, Manley said that he hoped the bomber was watching and would "reach out to us before anyone else is injured or killed." He reiterated that later Monday morning. The plea came as local and federal authorities increased the reward for information leading to a conviction to $100,000, Manley said. Texas Gov. Greg Abbott was also offering $15,000. "We don't have any evidence," Manley said earlier. "What we know for certain is: We have three victims that are victims of color, and we have three package bombs that have exploded on the east side of Austin," where many of the city's minority residents live. The two victims of the latest blast were both white. NBC News analyst and former FBI profiler Clint Van Zandt said it's common for methods to "evolve" during such a case. "This is something we see with serial offenders, serial killers, serial bombers, serial arsonists. Unfortunately they learn as they go," Van Zandt said. "And they're wondering what police know so they can change." Brian Jenkins, an analyst with Rand Corp. who has studied bombings, said in an interview that Manley's invitation to contact authorities could prove fruitful. He pointed to the Unabomber, Theodore Kaczynski, who killed three people and injured nearly two dozen more during a bombing campaign that lasted two decades, and his "desire to communicate, to have some kind of pronouncement or manifesto." "He made the offer that he'd suspend his campaign if his manifesto was published," Jenkins said. "The publication of that ultimately led to him being identified." Such bombings aren't easy to solve without communication — or without more "events" to provide more clues, Jenkins said. "This isn't like a convenience store holdup," he said. "This requires reconnaissance," Jenkins added. "This requires target selection. They have to think about building a device that works. They have to build that device. They have to think about delivering that device in a way that enables them to conceal their identity." CORRECTION (March 18, 2018, 4:27 p.m. ET): An earlier version of this article misstated the area where residents were told to stay inside. It was Travis Country, a subdivision of a neighborhood in Austin, not Travis County.